An intriguing Fillies' Maiden over 5f on good to firm going. Eleven two-year-olds take part: four raced and a mix of debutantes from leading stables. This looks a lively heat. Little Voice looks to find big improvement, while Jersey Belle and Stroke Of Midnight will be much wiser today. I noticed Sarabi has an entry to run in the Listed National Stakes at Sandown and priced 50/1 with bookmakers today. In some respects this may be a huge price but perhaps they simply considered having a day out with regard to that lofty entry. If backed it might inspire some hope. Princess Kodia may go well at a price. 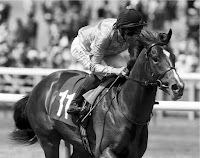 Brian Meehan's juveniles are firing on all cylinders and this daughter of Kodiac wasn't seen to her best on debut in what has turned out a fair race and then set a tough task when leading until the final furlong at Ascot, a race that has been franked multiple times. It's possible this bay filly could slip under the radar with a few well-touted horses competing. The apprentice has been employed to take a handy 7lb off her back and a good draw again the rails could see a bold front-running show. This youngster has plenty of pace so there could be ample opportunity to, perhaps, lay your bet at much shorter odds in-running. At odds of 20/1 with bookmakers [probably substantially bigger on the exchanges] this compact filly could have each way claims. 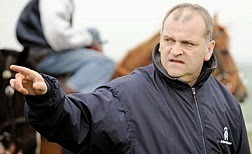 I'd definitely put your stake up in-running at 5/1 and hope Princess Kodia can tough it out. Note: The jockey's effort to hold up the horse were akin to me using a sledgehammer to crack a walnut. Ridiculous.